Bollywood has seen many long lasting friendships, many of which started out on sets of various films. And when co-stars turn friends, audiences can literally see their magic translate on the silver screen, and their movies have that extra magic that no one can quite define. Here are five examples of on & off screen friendships that set the screens on fire! 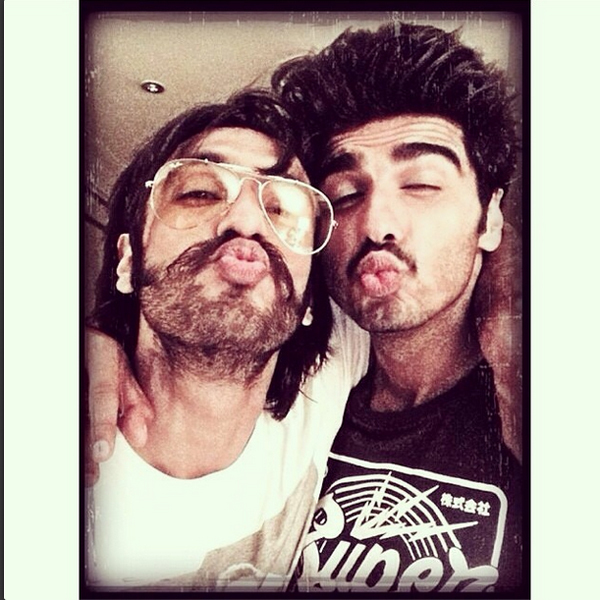 Both Ranveer and Arjun knew each other very well even before they became a part of the film industry. So when they were offered Gunday, their chemistry was evident onscreen for everyone to see. The two young and energetic actors were indeed a treat for the movie goers. This cosmic duo has been great friends since they first met on the sets of Ajab Prem Ki Ghazab Kahaani. Ranbir and Katrina reportedly got along immediately during their first shoot schedule and share a very strong rapport since then. Their onscreen performances rightly reflect the bond and comfort they share. This peerless couple will soon be seen in their next film – Jagga Jasoos. This combination is never-seen-before. However, this pairing seems full of promise. Kunal Kohli and Jennifer Winget who will be seen in their new movie Phir Seapparently hit it off instantly on the sets of the movie. Pictures from the sets of the movie show the two enjoying a day of ice-skating amidst their busy schedule which talks volumes about the comfort level they share. Director Kunal Kohli’s first acting stint with TV starlet Jennifer Winget is surely something to look out for. When two stalwarts come to work on a fun quirky movie, sharing a strong, comfortable chemistry is inevitable. So much so that Deepika has started calling Big B baba – which means father – as the senior actor is seen playing her father in their upcoming movie Piku. This unusual pairing has certainly set high expectations because of the sheer amount of talent they bring together on the silver screen. Though they are working with each other for the first time, both Akki and Jackie have been seen having a good time. Jackie recently put up a quirky video true to her style, where he is congratulating Jacqueline on reaching one million fans on Instagram. The talented actors have been working on their film Brothers and yes, we can’t wait to watch them on the big screen. 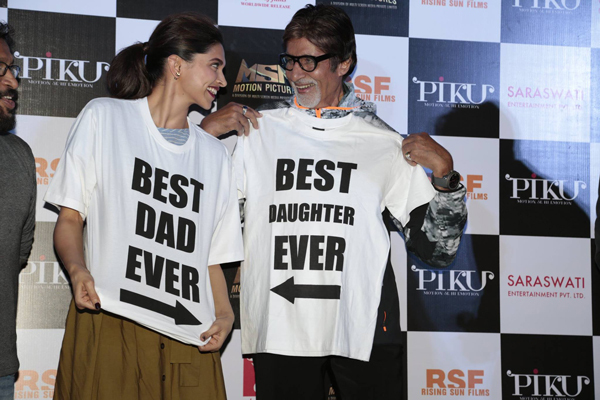 Not just in Piku, Bachchan saab has played Deepika’s father in Aarakshan too.